Kick Sugar Keep Candy! 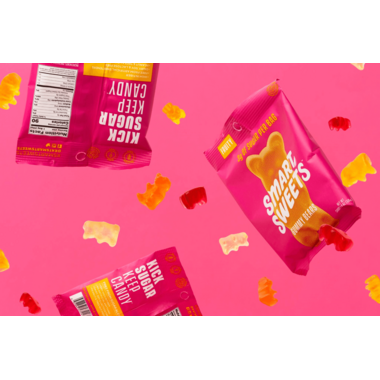 At SmartSweets they’ve innovated the first candy that kicks sugar—naturally. 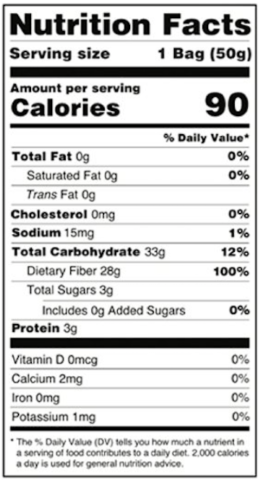 All of their Kick Sugar candy is free from sugar with no sugar alcohols and no artificial sweeteners. Every ingredient they use is non-GMO, always real and never artificial. 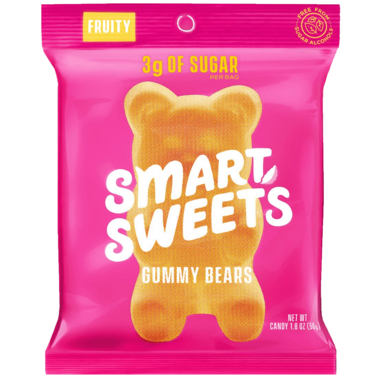 SmartSweets' chewy gummy bears have four natural flavors per bag: raspberry, lemon, peach and green apple. The fake sugar taste is really strong. Really great alternative to sugary candy. Watched the Dragons den episode and found out they intentionally made them chewy so they take longer to eat making you fuller faster. Which is a great concept! They are better than I thought they might be! They are very sticky however. Love these great for reducing sugar and getting candy in one. Pleasantly surprised! These are delicious! Love the sour ones and gummy fish too. Absolutely will buy more. These are the best low sugar candies I've ever had... and trust me that's saying a lot. I'm a candyaholic. I also hate artificial sweeteners. Stevia is used to sweeten these and that concerned me because I haven't found a stevia product I enjoy. However they've done the impossible and managed to make them delicious! They aren't exactly the same as sugar gummies BUT the texture is, and the sour ones are SO good. They are sweet, sour, flavourful and they taste really close to sugary gummies. Nutritionally speaking, one pack contains 100% of your daily fibre which is incredible! I recommend these so much!! just OK. It did however inspire me to make my own; and for that I will give it full marks. These gummy bears are really good. I like how I can eat a whole bag and not feel a sugar overload.... and that I get all of my daily fibre from a bag of candy. The sour ones are slightly better than the plain ones; I would grab both kinds and see which you like better. Canâ€™t go wrong with the ingredients. Tried these for the first time at a Cineplex movie theater of all places, and loved them! I can't have sugar due to hypoglycemia, and other "healthy" gummies still have some iffy ingredients that I don't trust, so when I saw these I was very intrigued. They were very tasty, and unlike regular gummies, didn't stick in your teeth. I will definitely be a regular purchaser of these from now on. Awesome.